Unfortunately there has been an spelling error on my name above. if you looking for me and can’t find me, you need to search CON SOTIDIS or look for @learnkotch on twitter. 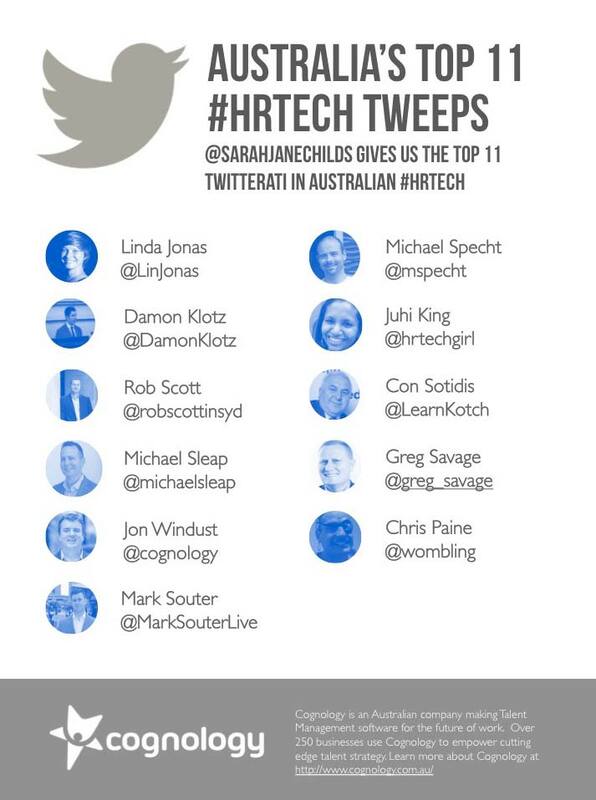 BTW I am honoured and grateful to be mentioned in such an esteemed group of HR professionals. A great list! I’d agree with every person on there! Guess I’ll have to work harder (or smarter) for next year then! Good to see you back Vanessa.